Late April, goes to the Buchinger Clinic in Marbella, Spain, on the Costa del Sol, for a regimen of therapeutic fasting. Spends a few days in Paris before returning to New York. 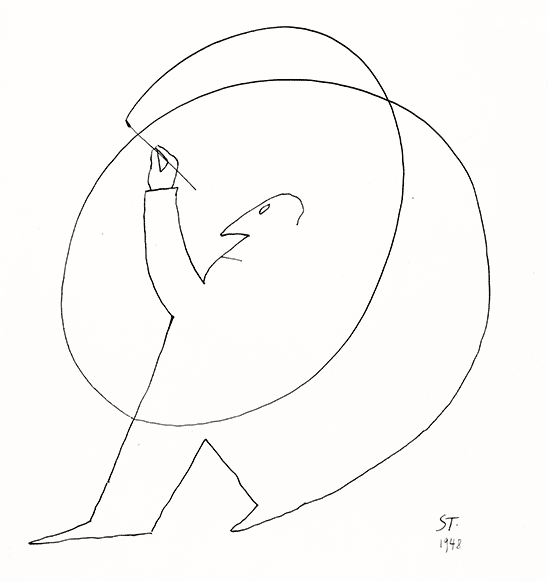 May 8, opening of “Saul Steinberg” at the Guild Hall Museum, East Hampton. November, Françoise Mouly, appointed art editor of The New Yorker in March, contacts ST at Brown’s request. She soon begins working with him to excavate old but unpublished drawings as well as develop new work. The collaboration continues until ST’s death.